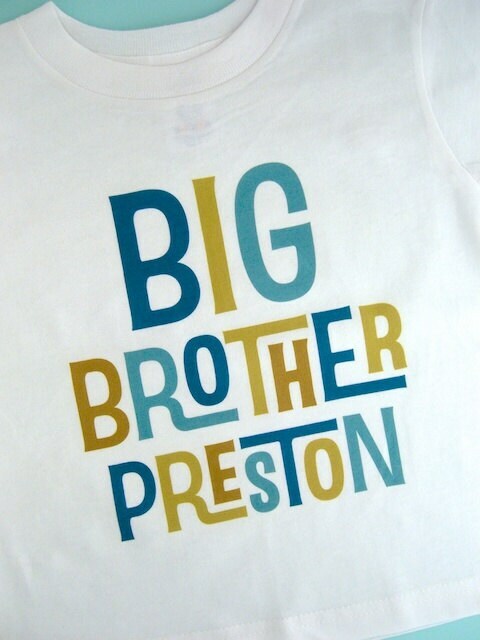 Super cute Personalized Big Brother tee shirt. Super cute shirt!! Turned out great and the recipient was thrilled! 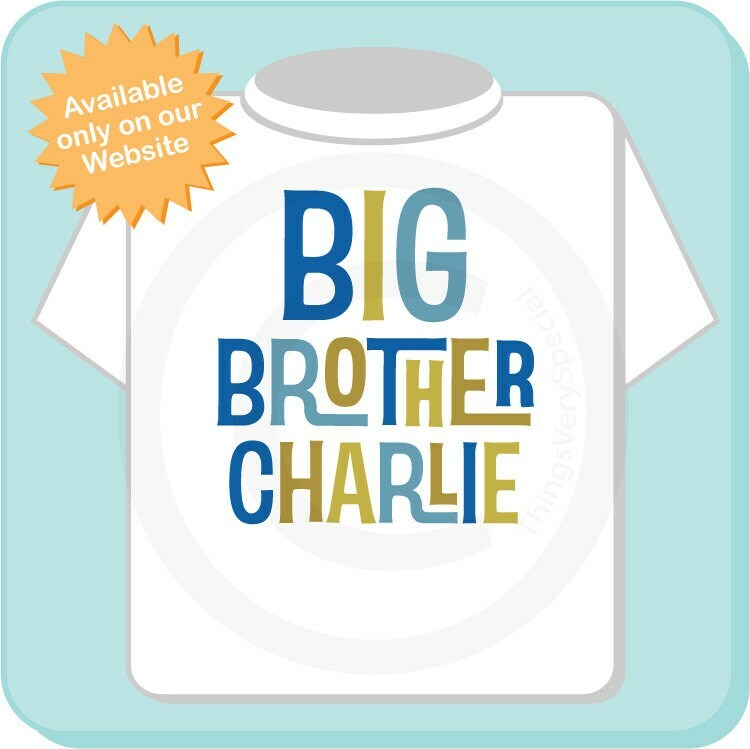 The shirt was a tremendous success and my grandson wore it with pride at the baby shower for his soon to be born baby sister. 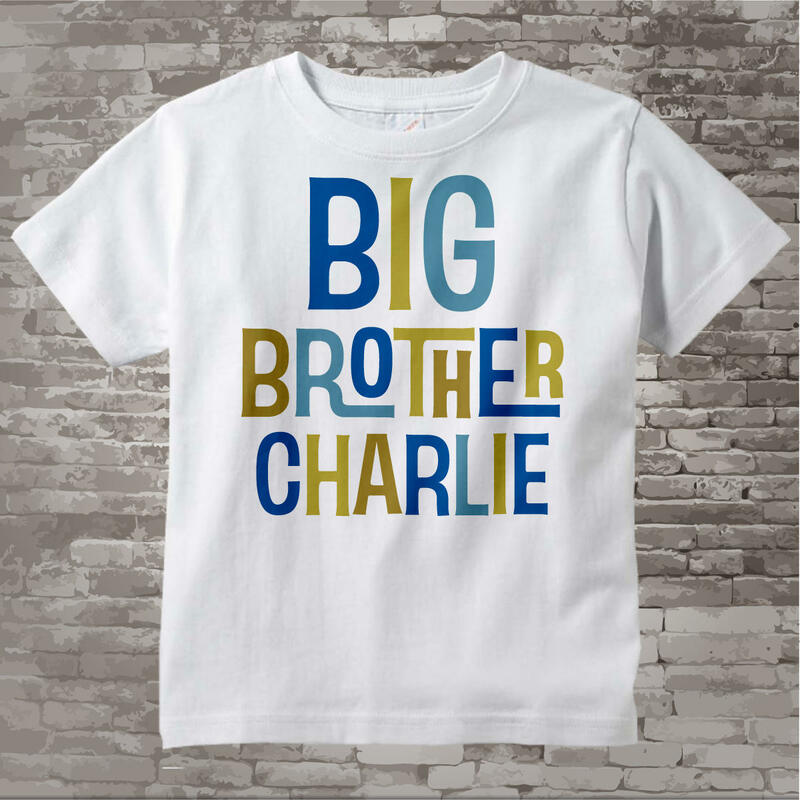 The quality of the fabric was evident and the lettering design and printing were perfect! !it arrived in good time and I am a very happy customer!! Exactly what I wanted! 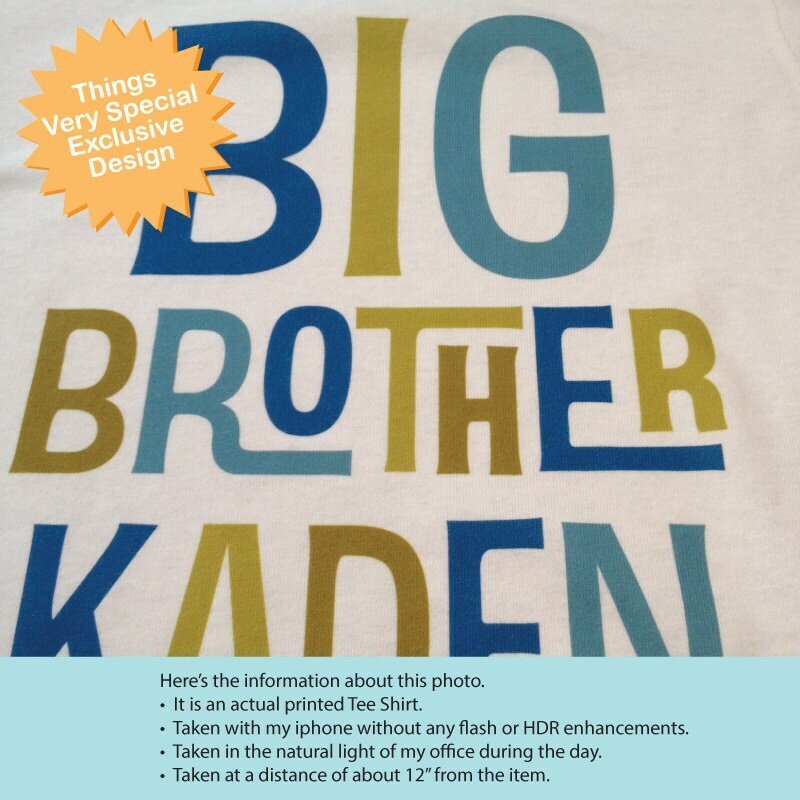 The t-shirt looks great!